Sorry folks! I don't think I've done this list for a couple of weeks now, but I have a very good excuse: I forgot. Also, I was actually busy one of those weeks. I'll leave it to you to find out which one! 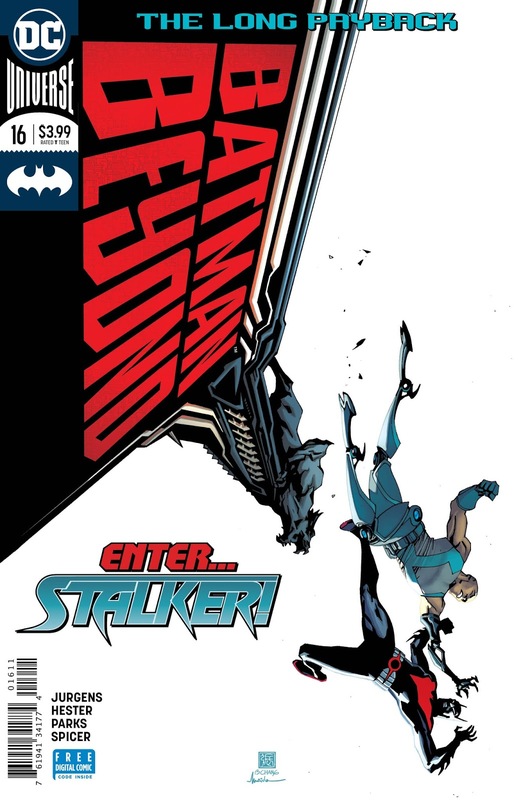 Meanwhile, we've got a list of the five best covers coming from DC Comics this week! Despite DC releasing a lot of books this week, very few of the covers moved me. 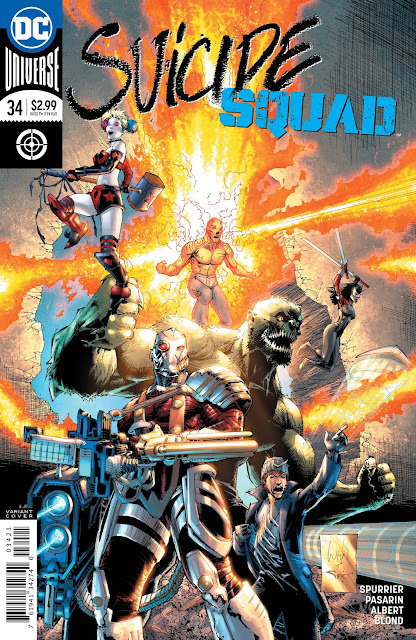 So here at the fifth position we have a nice picture of the Suicide Squad. Not much more to add here, though I do like the fact that El Diablo is standing on Killer Croc's back and Harley Quinn is standing on his hand. 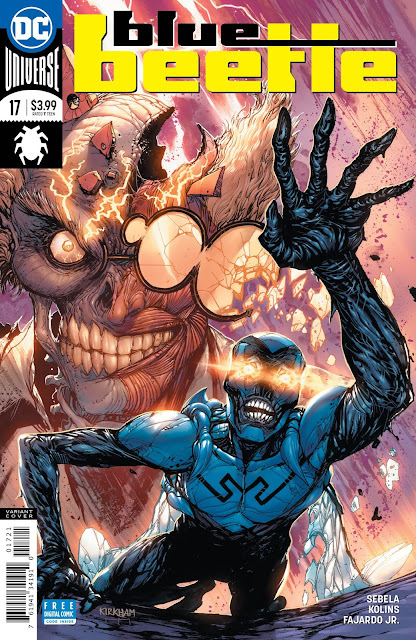 Here's a nicely-detailed, inky look at a desiccated Blue Beetle. The stark blue foreground strikes a real mood here. And of course I like ol' lumpy in the background too. Now we're coming to something: the vertical logo, the negative space--this is a pretty stark image. In fact, the story title somewhat ruin's the composition--I would have put it to the upper left of the image. But you can just rip that part off your cover and have a perfect image. A three-color cover and a stark BLAM! 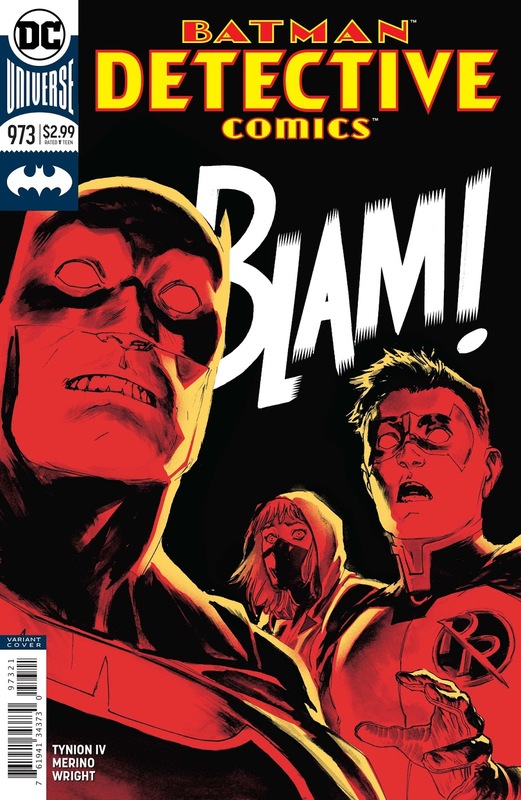 sound effect gives this cover image a lot of weight. It's practically a story in and of itself. I notice Albuquerque tends towards red-hued artwork, but if it keeps coming with this quality, that's fine with me. And this is where are this week, folks, where this cover takes the top spot for the week. And that's not to dismiss the image, it likely would have made the list regardless. But it's not exactly mind-blowing. 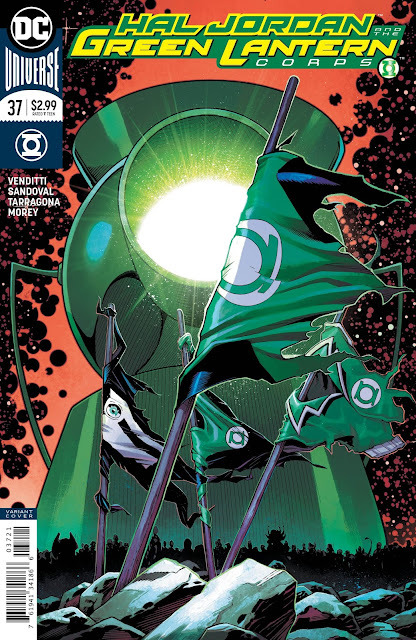 I like it, though, feels like a callback to Superman #75 from 1992, when his tattered cape was erected like a makeshift flag during his city-destroying fight with Doomsday. Very iconic.